YOUTH CLUB proudly launches an exciting Kickstarter campaign, The Subculture Diary: a youth culture bible in your pocket. 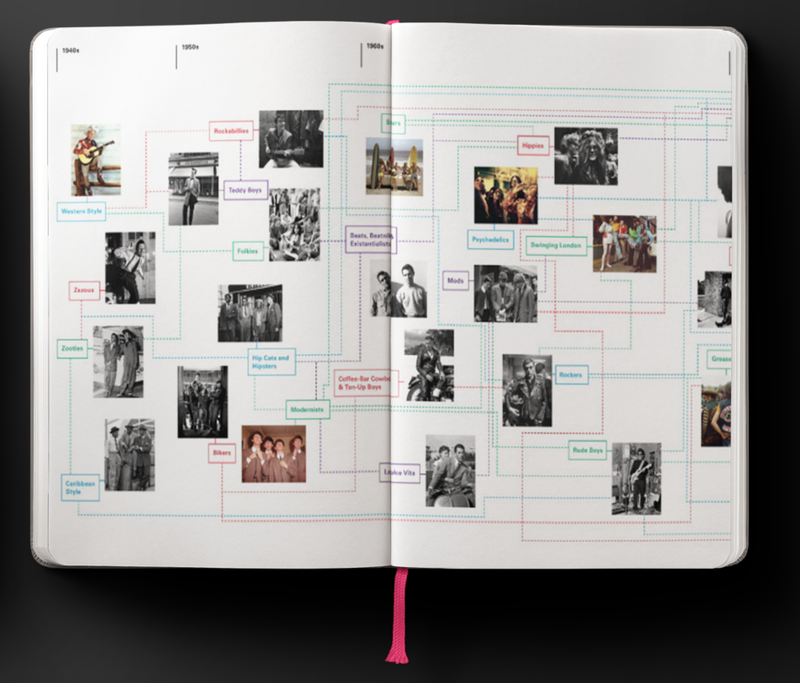 Illustrated with iconic subculture photography, the Subculture Diary brings the power of social history into your daily life through daily facts, bizarre moments, anniversaries, fashion milestones and a worldwide festival schedule built right into your planner. Whether you were a punk, mod, or nu raver, celebrate your mark on the world every day. 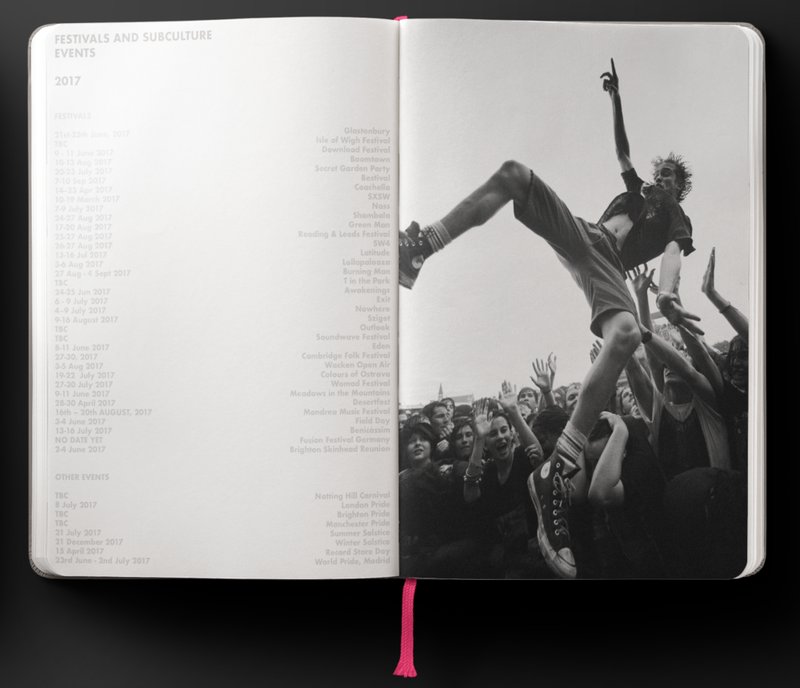 Enriched with photographs of iconic subcultures alongside defining moments in social history, the diary gives an insight to the development of youth culture in the post-war world, from Mods and Rockers fighting on Hastings Beach, to the evolution of UK Grime. For the first time, a complete, fully researched history of subculture is incorporated within your everyday diary, with yearly, monthly and weekly overviews to help you plan and organise with conviction. Stylish content and inspired cultural facts provide you with daily reminders of the iconic moments of yesteryear, whilst you add the personal dates that might define yours. YOUTH CLUB is seeking £5000 in crowdsourced funding to bring this exciting project into production in time for a Christmas 2016 delivery. The campaign runs for 28 days ending at 6pm Monday 28th November. 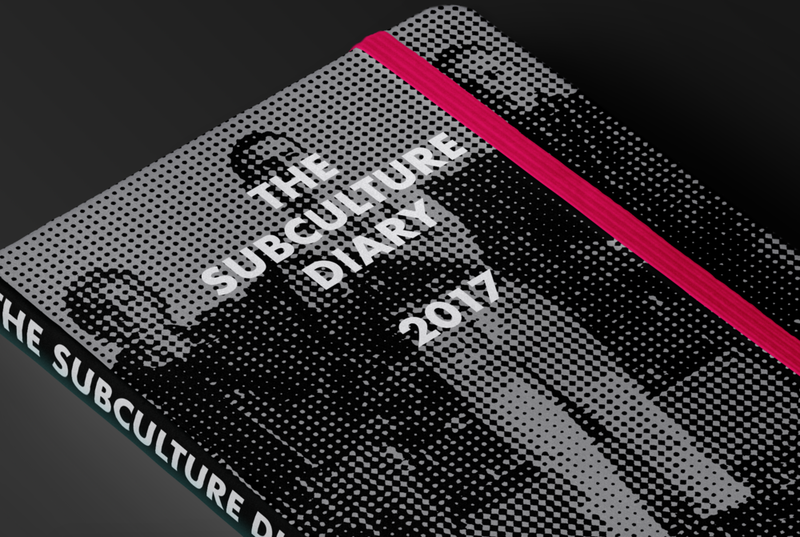 Click here to back our Kickstarter campaign for the Subculture Diary 2017! Get an early bird copy for as little as £15!